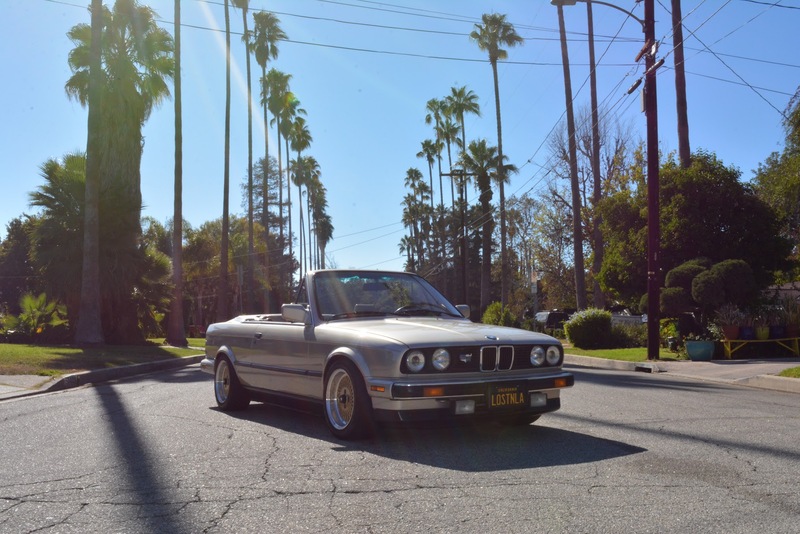 1988 BMW 325i Cabriolet in rare Benzitbeige-metallic with heated sport seats matted to a 5 speed manual transmission with 3.73 limited slip differential. Exterior paint is in excellent condition. No scratches or dings. The interior is in perfect condition. No dash cracks..! Original radio works. Original air conditioning retrofitted with r134 refrigerant, new ac compressor, dryer and hoses. No signs of major accidents, or repair work on the chassis. Clean engine bay with the original cosmoline coating still present. No dummy lights, the OBC (On Board Computer) is fully functional even has the timer option..! Period correct gold Enkei wheels with Toyo R888R tires. New drilled rotors, high performance brake pads. Tons, and tons of maintenance history. Calculated almost $13,000…! Clean California title, manual, jack, spare, maintenance history. The current mileage is 177K and all the services are up to date.